Do-It-Yourself Camera & Music Phone Projects: 24 cool things you didn’t know you could do! 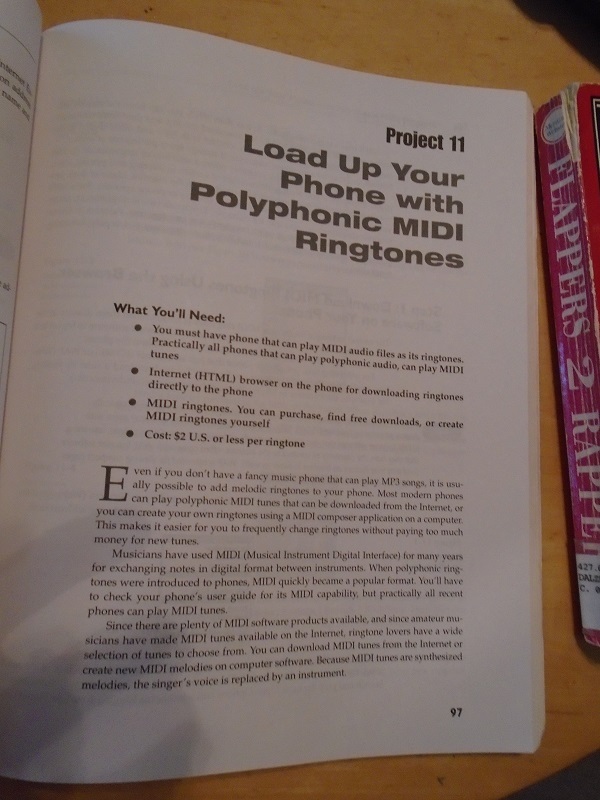 Submitter: The flip phone on the cover says it all: this book is terribly dated. 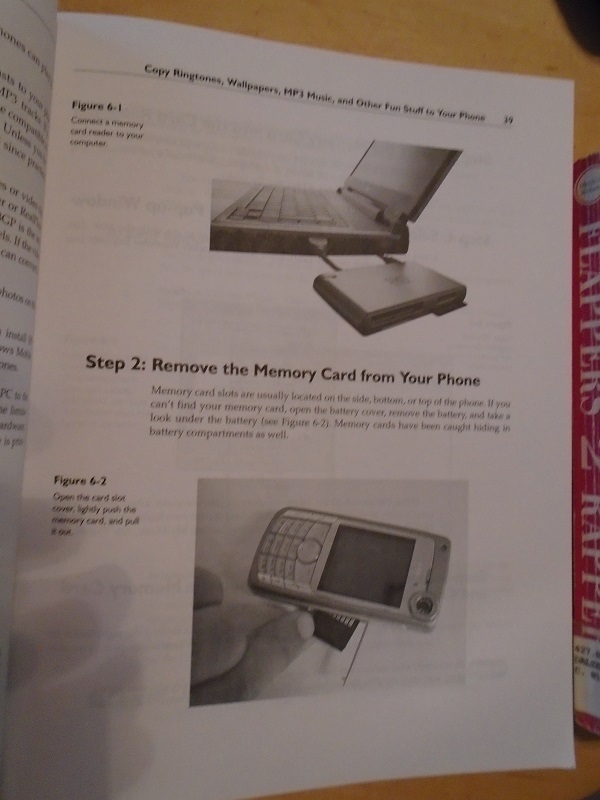 All of these new-fangled things that people can do with their phones are great, sure, but nearly every phone has this capability now without using a book to find the secrets to your phone. 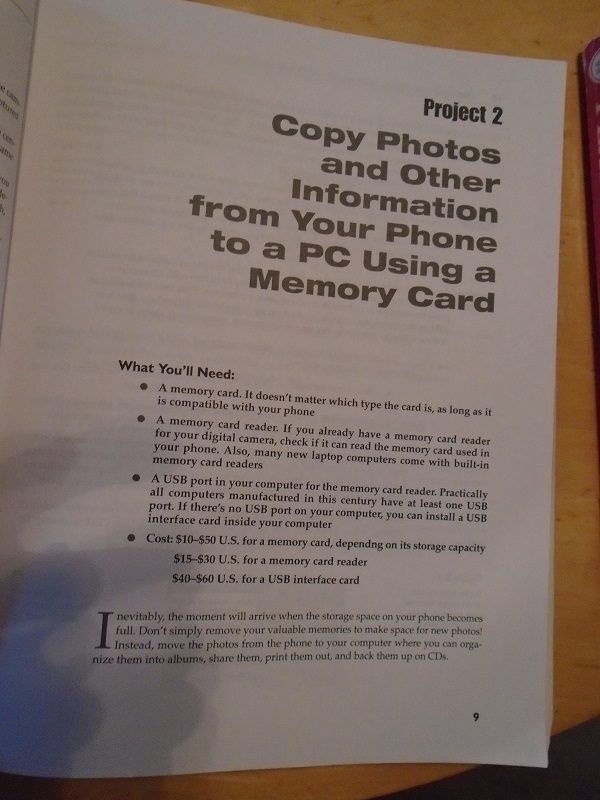 Phones are practically computers in and of themselves; why would anyone want to transfer their files by pulling out the SIM card and inserting it in their computer? 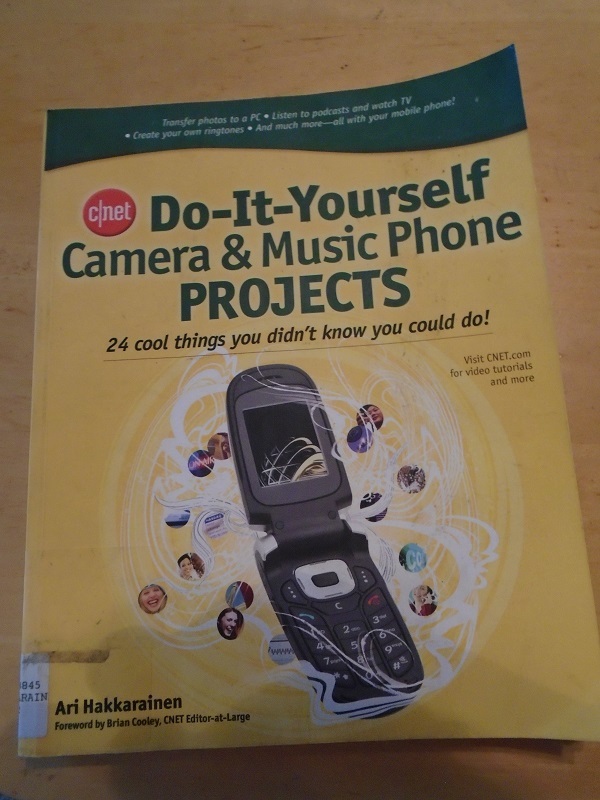 Holly: Anyone interested enough in camera and music projects to check out a book about it likely does not have a flip phone…or is willing to upgrade. If it were just a book about using flip phones, you *might* be able to make a case for another year or two, but this is specifically about multi-media projects, so it is too outdated to be useful. 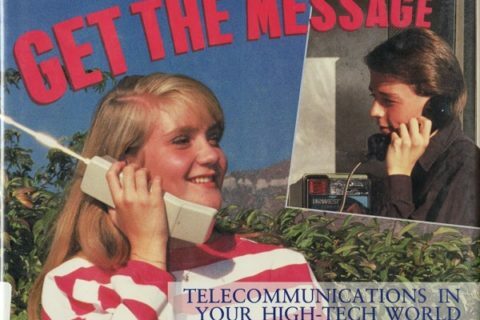 Smart phones are so much easier to use than flip phones! My parents have flip phones, and they don’t believe me that a smart phone would be EASIER for them to use. I do see people in the library with flip phones from time to time, but usually those are the people who can’t figure out how to make the super loud ringing stop when everyone around them is giving them the stink eye. Novelty cellphone ringtones. Oh, now you’re taking me back! Having the Mission: Impossible theme or the latest pop hit on your Nokia was serious business for teenagers around the turn of the millenium, even though they were about £3 each if you downloaded them legitimately. I still have a flip phone. I can make calls with it and send (or receive) the very occasional text, which is really all I need to do with a mobile phone. I have heard that in some circles, it’s hip to long for the days of flip phones. Heh. I have become hip by virtue of my late-adopterness and being too cheap to want to shell out $100 or so a month for a smartphone plan. Ha! Me too. I love technology and am a reasonably high-powered computer user, but my mobile is a Razr flip phone (which I picked up secondhand for £25 not too many years ago). 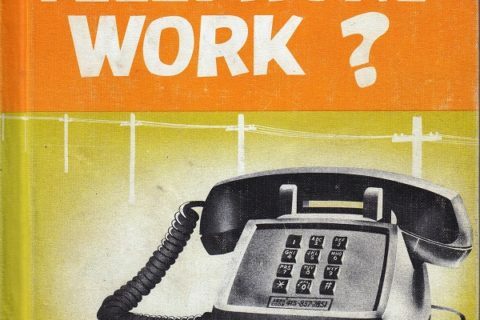 If I commuted to work or otherwise found myself out and about a lot, I’d get a smartphone. Since I work from home, I’ve got no need. The phone in my pocket is purely for emergencies or calling taxis, and the Razr is plenty good enough for that. And why should I pay £30-£50 a month for a smartphone contract when my current usage comes to £5-£10 a year? My mother had a flip phone, and all she did with it was make and receive calls, ignore voicemails, and occasionally take pictures of her feet by mistake. She ran over it and cracked the front screen, but the inside was still OK and it worked fine. Somehow she was persuaded to get a smartphone, but she went with her plan’s free one, which is a Windows phone, and it’s awful. No one else has one and so no one can help her figure it out. I think she is going to go back to the cracked flip phone. I know lots of people with flip phones, many in their 20’s. Not sure what this says about who I hang out with. I do not have a smart phone, but mine does not flip. I kinda wish I had a flip phone – you don’t accidentally call people with those. 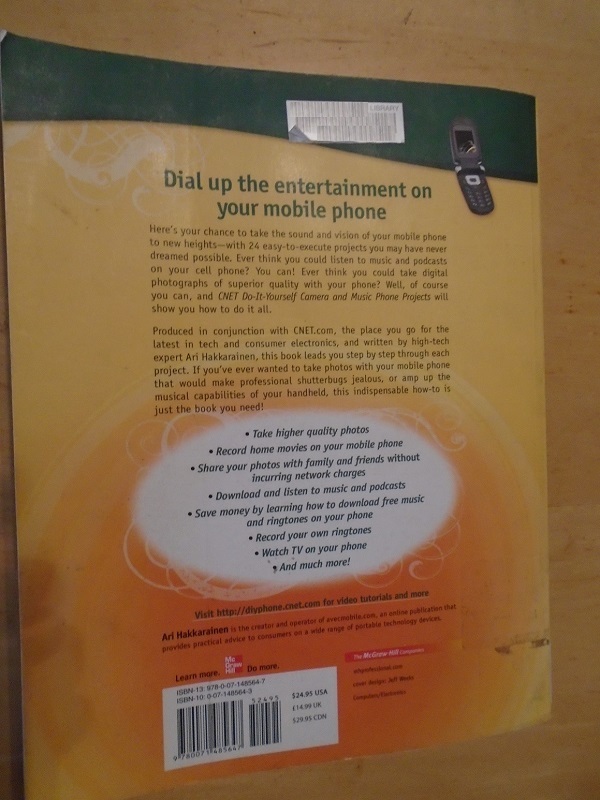 I have a PRE-flip-phone phone. It’s all I need. I barely use it. It costs almost nothing. The biggest difficulty with more advanced phones, like smart phones, is making sure you understand all the privacy and security features, and that you have everything set right so it doesn’t broadcast your private information without your consent. That may be what gives your parents pause. I still have a flip phone. Much like the Eleventh Doctor with bowties, I think flip phones are cool. Why yes, I did watch a lot of Original Star Trek when I was young, thanks for asking. Like many commenters, I don’t have a smartphone. I also work at a public library, which is the main place I generally see other people with dumb phones. 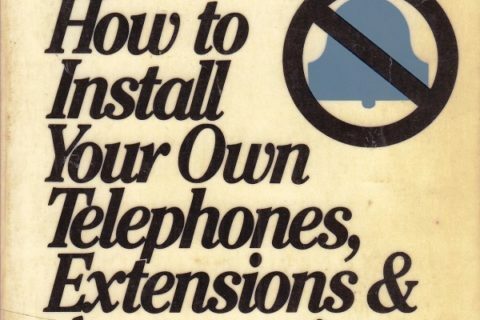 However, I can’t imagine ANY of those people wanting a book about how to do tricks with their phones, since they have those phones to make PHONE CALLS with, not as toys. I agree–weed it! 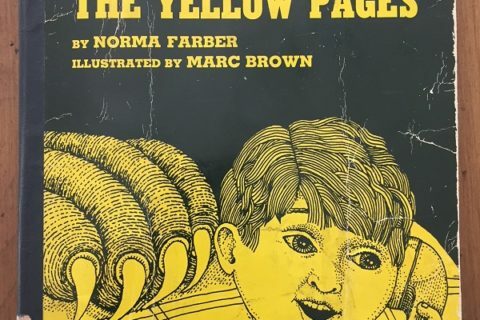 This 2007 book is ALREADY dated? Does that mean that a 2012 book is already dated by now as well? I LOVED my flip phone! It was the Samsung competitor to the Razr, called the Blade, and the reviewers thought it improved on the Motorola phone. But about 4 years ago, it broke, and I had to get something else, so I made the switch to a smartphone. I hated it. It was too smart for its own good, and I turned it in for a non-smart slider phone, which was quite usable for a couple of years. Alas, I did finally join the ranks of iPhone users partly from professional peer pressure, and it’s OK. I wonder, however, if my Blade hadn’t broken, if I might not still be using it. I have a “smart” phone and to be honest I miss my old flip phone. The “smart” phones are just too big to carry comfortably.